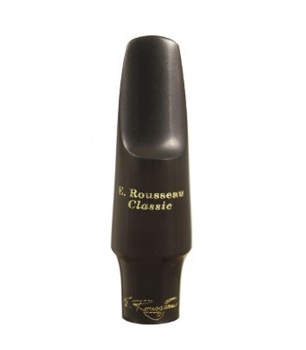 The E. Rousseau New Classic tenor mouthpiece was developed to complement the highly successful 'R' series. It has been designed with an entirely enhanced choice of facings to meet the demands of the world's top performers. Features include a redesigned chamber with a unique baffle and sidewalls to provide an even more centered tone; a fresh tip rail for a more precise fit of reed; and a longer shape for a more secure fit and easier tuning.